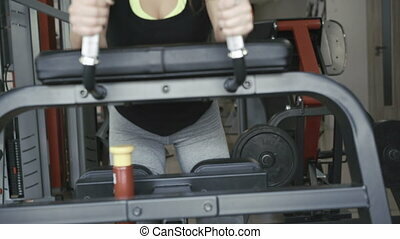 Close up of pretty girl working out squats with heavy barbell in the gym in 4k. Close up of girl working out with simulator for buttocks in the gym 4K. 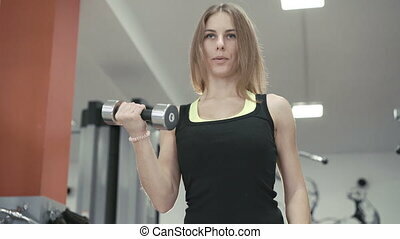 Pretty girl working out with dumbbells in the gym in 4K. Close up of girl workout with simulator in the gym in 4K. 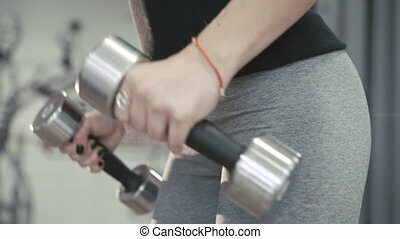 Close up of girl working out with dumb-bell for delta muscles in 4K. 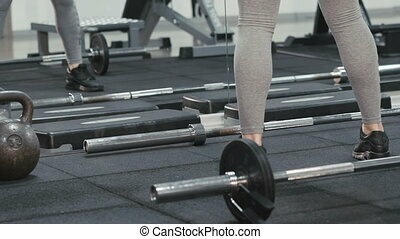 Close up girl's legs and buttocks working out with simulator in the gym in 4K. Close up of slim girl workout with gym simulator for muscles in the gym in 4K. 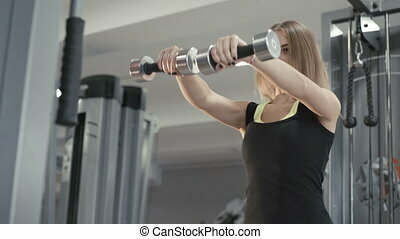 Strong girl working out with dumb-bell for biceps in 4K. Woman working out with simulator for muscles on arms and back in the gym in 4k. 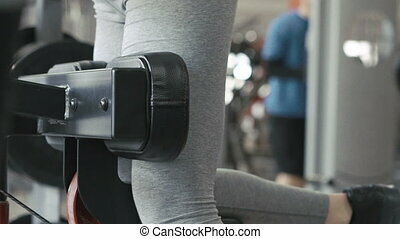 Strong girl working out with dumb-bell for delta muscles in 4K. Strong girl workout with gym simulator for muscles in 4K. Front look of girl working out with simulator for legs and buttocks muscles in 4K.